Neat, tidy and tough polo shirts for everyday school use. Branded supplies a wide range of everyday school polos, both off-the-shelf and completely customised. Our polos come in polyester, polycotton, cotton blends and cotton rich and lycra fabrics, often woven in a pique or jersey knit. They are well-fitting, good-looking, hard-wearing and easy to clean. 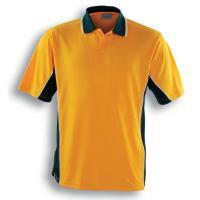 School polos may be a solid colour, in panelled complementing colours or in a complex sublimated pattern. We often include piping, printing and embroidery with specialty collars and sleeves. In all instances, we design and finish school polos to match each client's needs. We deliver customised polos that perfectly reflect the personality of your school. Take a look at some of our school polos below. 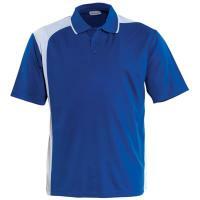 Also check out our other types of polos (including sublimated and panel designs). As always, these are just examples and we'd love to hear exactly what you're looking for so we can design a polo to suit.